Nikolai Kulemin was the first Leaf winger to fall to what the papers were calling friendly fire. This was October and the season hadn’t even started when in practice he caught a teammate’s shot on the ankle, which chipped the bone. Two weeks he was out of the line-up. Same thing happened at the end of the month to Joffrey Lupul, “plunked” in practice, as The Toronto Sun put it — though Lupul’s was only a bone-bruise, and he missed but two games. Modern-day foot-guards — they’re also called shotblockers — are light and resilient. 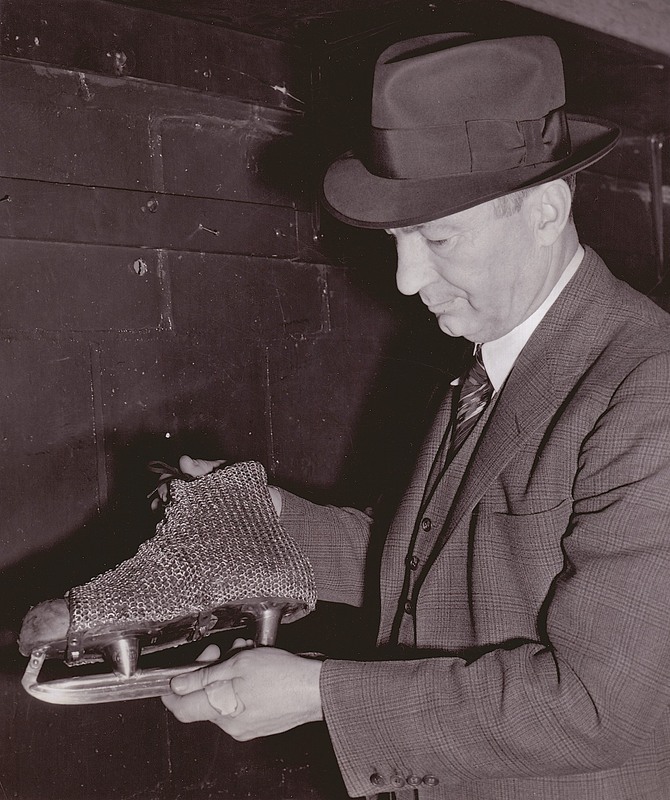 They’ve come a long way since the steel-mesh prototype that the man they called “hockey’s Edison” came up with in 1939. By then, of course, Art Ross (above) had long since retired from a stellar playing career. He’d been managing the Boston Bruins since 1924. 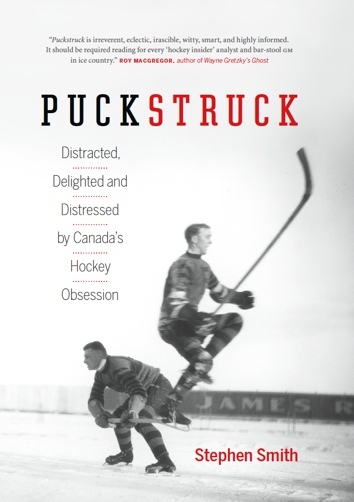 He’d already re-invented the hockey net by the time he turned his attention to trying prevent foot and ankle injuries, and in 1940 he’d get his patent on a refined puck.